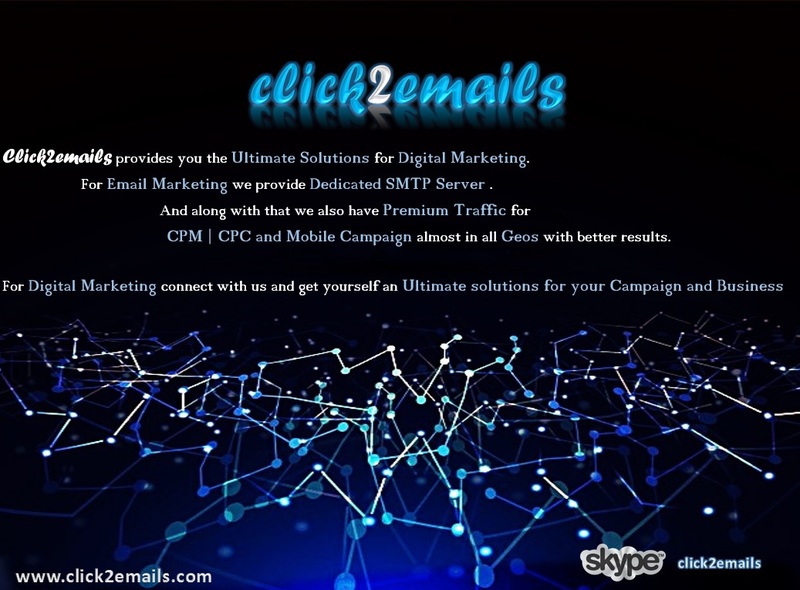 Click2emails provides you the Ultimate Solutions for Digital Marketing.For Email Marketing we provide Dedicated SMTP Server . 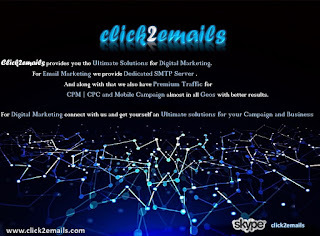 And along with that we also have Premium Traffic for CPM | CPC and Mobile Campaign almost in all Geos with better results. 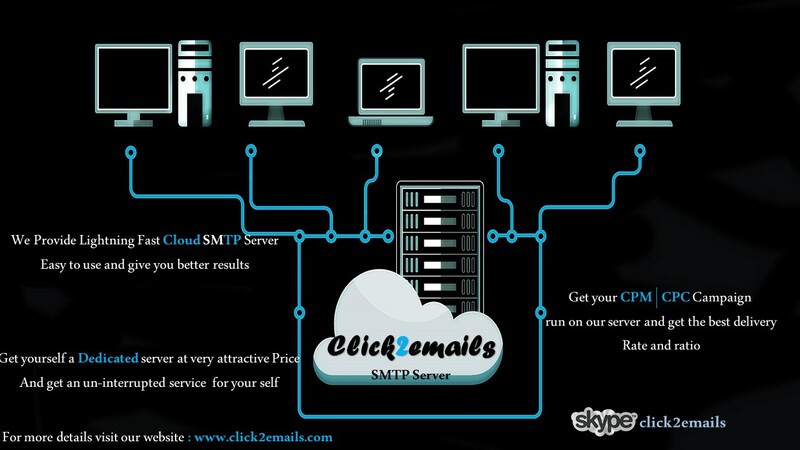 Dedicated SMTP Server and IPs, if you have opt-in data & looking to run campaign on SMTP server. 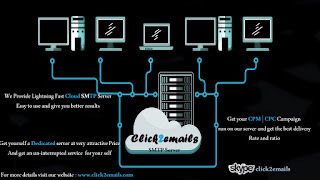 Then Chat with us & get yourself a Dedicated server at offer price.